Outdoors and indoors are no longer treated as separate worlds in contemporary design but as one continuous space: indoor areas flow easily outdoors; comfortable, lightweight furniture moves out of the living room onto the patio or into the garden. 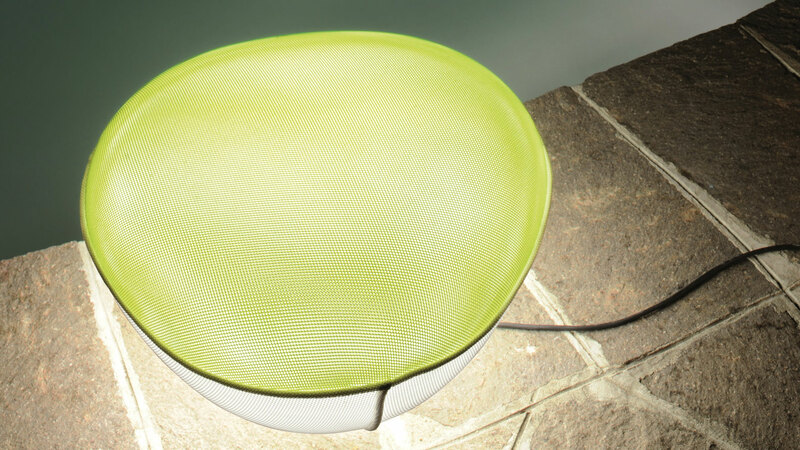 This is where “Pill-low” comes in: a lamp that can also be used outdoors, covered in a special mesh fabric that creates a “domestic” look, a far cry from the technological harshness of traditional outdoor fittings. 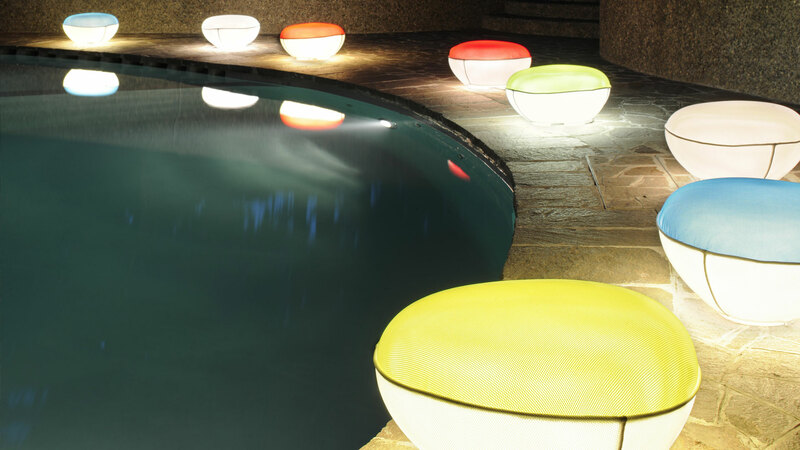 Not only an unusual “textile” light object, because “Pill-low” does not object to being used as seating. 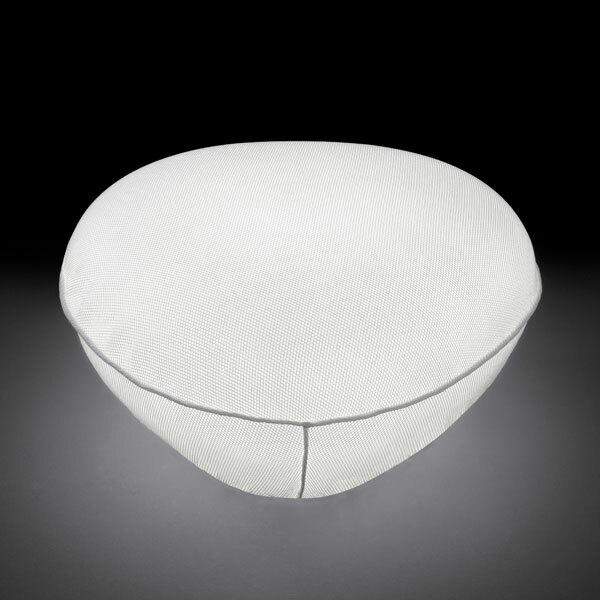 Outdoor/indoor lamp giving diffused light in white polyethylene with cover in outdoor washable fabric. To be used as seat as well.